No need to depend on Hyderabad, Chennai for your international travel from Andhra Pradesh. International carrier Etihad Airways has agreed, to operate flights to overseas destinations. 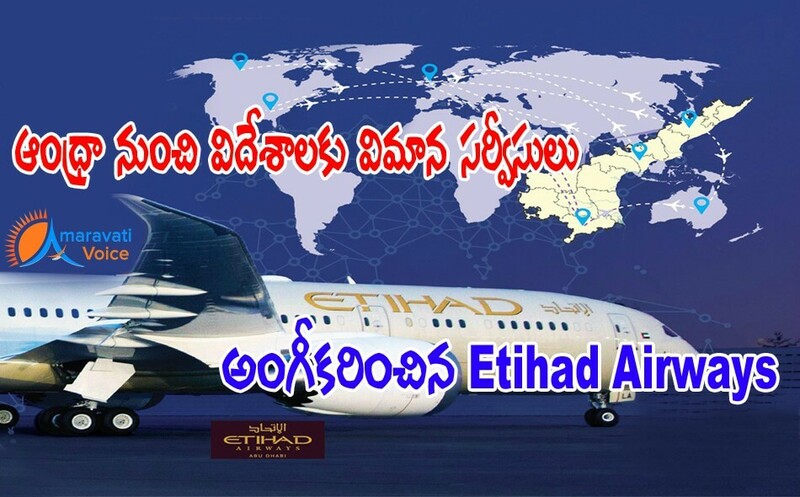 Etihad has accepted to run from the three major airports in Andhra Pradesh — Tirupati, Visakhapatnam and Vijayawada. Chief Minister in his China tour made a request to Etihad airways Vice-president Mr. Vijay Poonoosamy who responded positively. Etihad Airways will soon apply for necessary permissions from the Civil Aviation Ministry.